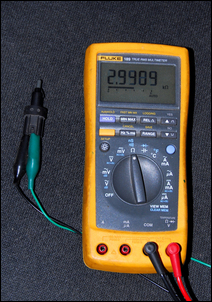 Last week we looked at using a multimeter to measure volts, ohms and amps. This week we get into real world modification. While an electronic modification might look ridiculously simple and be incredibly cheap, the results don’t match this. One potentiometer or one fixed resistor – either component tiny and costing under a few dollars - can make a dramatic change to your car. It might look as absurd as changing a wheel nut and then expecting the suspension to be revolutionised, but strange as it seems, just a tiny, low cost component can often achieve the results you’re after. So let’s get into a modification – but first, how do you even start tackling a car electronics system? In an engine management system, the input sensors might include the airflow meter (measuring how much air is going into the engine), throttle position sensor (measuring how much the throttle is open), camshaft position sensor (measuring the rotational angle of the camshaft), and intake air temperature sensor. These are the ‘eyes and ears’ of the system – without these inputs, the system doesn’t know what is going on. Output actuators in an engine management system might include the fuel injectors (they regulate how much fuel is added to the intake), idle speed control solenoid (it regulates how much air bypasses the throttle butterfly), and camshaft position control (it determines how advanced or retarded the camshaft timing is). 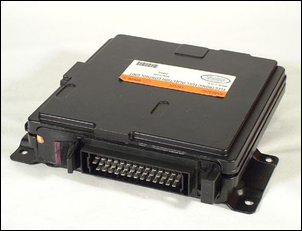 The Electronic Control Unit (ECU) uses inbuilt software to determine from the input sensors what conditions the engine is undergoing, and then what signals should be sent to the output actuators. All electronic car systems use this fundamental operating logic. That means that when learning about a new car system, or working out how to modify it, you should always think: inputs, outputs, ECU. So if you are working on an electric power steering system, and want to alter steering weight, you must first determine what the inputs are (perhaps road speed and steering wheel input torque) and what the outputs are (perhaps the amount of current [amps] to electric steering motor and the direction of that current flow). If you are working on modifying an electronic stability control system, what are the inputs (perhaps steering wheel angle, a yaw sensor and road speed) and the outputs (perhaps electronic throttle control and individual wheel braking through the ABS). Now this might all seem like a huge jump from the previous parts in this series – suddenly we’re dealing with complex car systems, not just measuring volts with a multimeter! However, it’s a lot easier to go from one to the other than you might think. In fact let’s look at one modification right now. It needs to be stated upfront that the following modification has gained a poor reputation through claims it will revolutionise the performance of your car. For example, I’ve seen people claiming that on one particular car, you can gain 30 horsepower – or, if you want, 20 per cent better economy! These figures are completely and utterly absurd. However, in terms of bang for your buck, the results on some cars can be absolutely outstanding. So, what modification is being talked about? 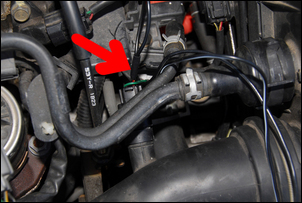 As we mentioned above, the engine management systems (in most cars) uses an inlet air temperature sensor. As the name suggests, the ECU uses this to determine the temperature of the inlet air. But it’s what it does with this information that’s interesting. In addition to working out the density of the air (ie how heavy it is, which indicates how much oxygen there is in a given volume), the ECU uses inlet air temp as an important input in determining what ignition timing to use. If the inlet air is colder, the ECU can advance the ignition timing. If the inlet air is hotter, the ECU will retard the ignition timing. Advanced ignition timing, especially when using higher octane fuel, will result in more power. In many cars, this will be felt as better light-throttle response, for example, the ability to use a higher gear in a given light-load cruise situation. This makes the car sweeter to drive and can improve fuel economy. So, if we can make the ECU think that the intake air is colder than it really is, the ECU will advance the ignition timing. And this can be achieved very simply! 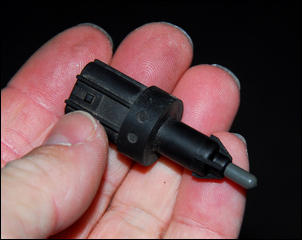 Intake air temp sensors use variable resistance designs – that is, they vary in their resistance to current flow with changes in temperature. Normally, they use a design where resistance (measured in ohms) increases as the temperature decreases. If you want the ECU to think that the temperature is colder, you add extra resistance in series with the sensor. 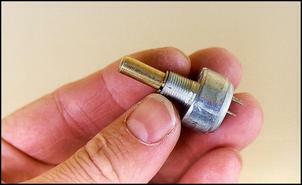 To change the resistance of the intake air temp sensor, you need to use a resistor. This is an electronic component available in a range of resistance (ohms) and power (watts) values. (In this application the lowest power rating – ¼ watt – is fine.) 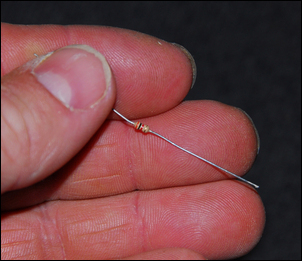 Resistors are available from electronics parts stores for literally a few cents each. For example, you might buy a ¼ watt, 3.2 kilo-ohm resistor (3.2 kilo-ohms = 3200 ohms). But in this modification (and many others), it’s easiest if you start off with a variable resistor. This allows you to adjust the modification until you get the results you’re after. A variable resistor sounds expensive but again the component is very cheap. In electronic terms, a variable resistor is called a potentiometer, or pot. Pots cost about $2 each. Let’s have a closer look at these two components. A resistor poses a resistance to the flow of electricity. It doesn’t have any polarity (ie it can go into the circuit either way around) and its resistance is marked with colour-coded bands on the body of the resistor. Don’t bother trying to learn the colours – just buy the right value and then check it with your multimeter. 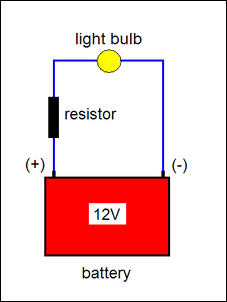 In this series we will show resistors on circuit diagrams as rectangles. 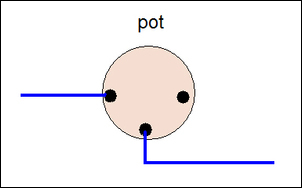 A pot has three connections. Two of the connections are to the two ends of the internal resistor, while the third connection is for a wiper that can be moved along the resistance track, allowing the resistance to be chaged. When you use a pot as a variable resistor, just two connections are used – one end of the track, and the wiper. On a pot the connections are usually physically like they’re shown on this circuit diagram. When you get a pot – any pot – always check its resistance. 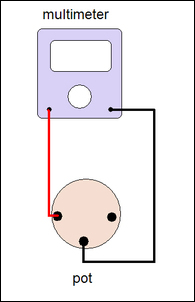 Set the multimeter to ‘resistance’ (or ‘ohms’) and then connect the probes to the pot as shown. The meter should show the maximum value of the pot. So a 10 kilo-ohm pot should have a value close to 10 kilo-ohm (10,000 ohms). It doesn’t matter if it isn’t exact, but if the measurement shows (say) 4.8 kilo-ohms, it’s a 5k pot not a 10k pot! It is always good to test pots like this. The other day, I was doing a car modification with an unusual design, multi-turn pot. I figured the pins were like any other pot pins and didn’t check them thoroughly with the multimeter. Result? I wired the pot into the car incorrectly – and then spent a few hours chasing my tail, wondering why the mod didn’t work! 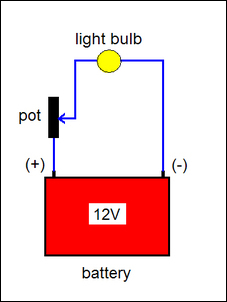 Another way of showing a pot in a circuit is like this. The arrow shows the wiper (the moveable arm) that can go from one end of the resistance track to the other. 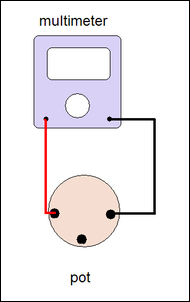 Showing the pot like this is easier to understand – when the wiper is at the bottom, no resistance is introduced into the circuit. When the wiper is at the top, maximum resistance is introduced into the circuit. 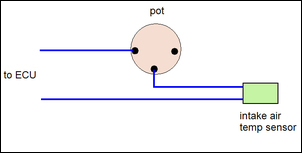 In this series, pots will be shown on circuit diagrams like this. You might be wondering why a pot has three connections, when here we’re using only two. The answer is that a pot can also be used in a completely different way to being just a variable resistor. 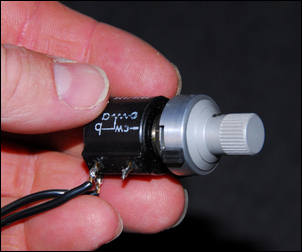 The other use (as a true potentiometer) is also extremely useful in electronic car modification - we’ll talk more about this next week. OK, so now we understand fixed value resistors, and variable resistors (pots). Now, how do we apply them to the intake air temp sensor modification? Well, if we start off with a variable resistor (pot) we can easily adjust the value. Set the pot to zero resistance (as measured by the multimeter) and then wire it into the circuit for the intake air temp sensor like this. Right, that’s the pot installed (easy, huh?). Simply turn the pot and the ECU will 'think' that the intake air temp is colder than it really is. Now what? Here’s how I did this mod on a hybrid petrol /electric Honda Insight, and what the results were. 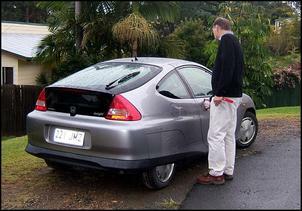 The hybrid Honda Insight is in many ways a simple car – certainly, much simpler than the Toyota Prius. The engine, a 1-litre 3 cylinder, uses conventional engine management – not even electronic throttle control. The (Australian-delivered) car is designed to run on 95 RON fuel but I normally use 98 RON. The RON value is purely a measure of the fuel’s resistance to detonation; nothing else. Higher octane fuel therefore has a higher resistance to detonation, so can tolerate a higher engine compression ratio and/or more ignition timing advance. To an extent, the ECU will automatically advance timing when running on higher octane fuel – but only to an extent. It expects 95 RON fuel, so it’s never going to advance timing to the degree it would if originally calibrated for 98 fuel. So what, I wondered, would happen if I altered the signal the ECU saw from the intake air temp sensor? Since the lower the intake air temp, the greater is the engine’s resistance to detonation, if the ECU was convinced that the intake air temp was actually lower than it really was, it could be expected to run more ignition timing advance. That could in turn well suit the higher octane fuel. The Honda workshop manual provides no real detail on the intake air temp sensor, but it is easily removed and tested. At about 35 degrees C the resistance was 1600 ohms, at about 20 degrees C it was 2000 ohms, and when packed briefly in ice it increased to 5000 ohms. All measurements were done with a multimeter. So (to reiterate), higher resistances equal lower temperatures. I snipped the signal feed near the sensor itself (this could have been done at the ECU but it was simpler to do it under the bonnet) and wired-in a 5 kilo-ohm (ie 5000 ohms) pot as a series variable resistor (ie as shown above). I used a 10-turn pot so that changes could be made very gradually, but a normal pot could be used if care was taken with rotation. (10-turn pots are much rarer than normal rotation pots – I bought mine on eBay.) Note that as can be seen in the pic below, this particular pot uses an unusual terminal configuration - always check unknown pots with a multimeter before wiring them into place! I wound in about 3000 ohms of extra series resistance and went for a drive. The greatest care should now be taken to listen for detonation. If you don’t have an acute ear for it, do an AutoSpeed site search for some of the electronic detonation detectors we have described. Of course, high octane fuel should also be being used. On the road the Honda was clearly far more driveable. In light load driving, gear changes could be made earlier, a characteristic of increased light load torque. The earlier up-changes also suggest that in urban driving, the fuel consumption might be a little improved. Specifically, 5th gear could be used up slight rises at 60 km/h, something the car was reluctant to do previously. However, on a highway fuel economy test, there was no discernible change. No detonation could be heard and no check engine light appeared. By using a pot in the initial configuration, you can twiddle it to your heart’s content. When you have decided on the value that is required, the pot can be removed and its resistance measured with a multimeter. A fixed value resistor of the same value can then be bought and wired in series with the temp sensor, the lot then covered in heatshrink or tape. And that’s just what I did, using a 3.2 kilo-ohm ohms resistor (that actually measured closer to 2.9 kilo-ohm!). Part of the above article was written when I first did the modification and wrote about it in AutoSpeed. In the months since, I have been able to enjoy the way the car now drifts along on tiny throttle openings, tractable and responsive even in high gears at low revs. Personally (and of course you may not feel the same way), I’d value the results of the modification at about $500. And the wonderful thing is that if you try it on your own car – and it doesn’t work – you’ve spent only an hour and $5. Can’t beat those electronic mods, can you?! Next week, we’ll look at other uses for pots.